At the tail end of 2014, Thecus expanded its range of network storage solutions to become the first manufacturer to launch products running Microsoft's latest NAS operating system, Windows Storage Server 2012 R2 Essentials. 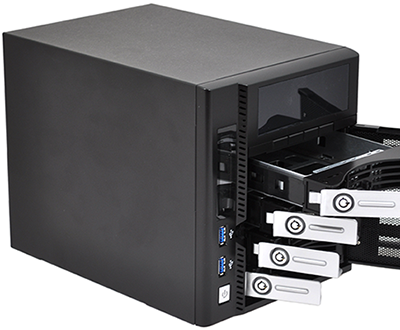 The two-bay W2000 (£299), four-bay W4000 (£389, pictured) and five-bay W5000 (£469) are part of the company's effort to diversify its portfolio, with all three new additions aimed at small businesses looking to integrate Microsoft's cloud-based applications and services. It's a surprise move for Thecus, who has already invested heavily in its own Linux-based NAS operating system, but the firm is eager to differentiate, and the decision to adopt Windows Storage Server 2012 R2 Essentials should boost its profile among business customers. 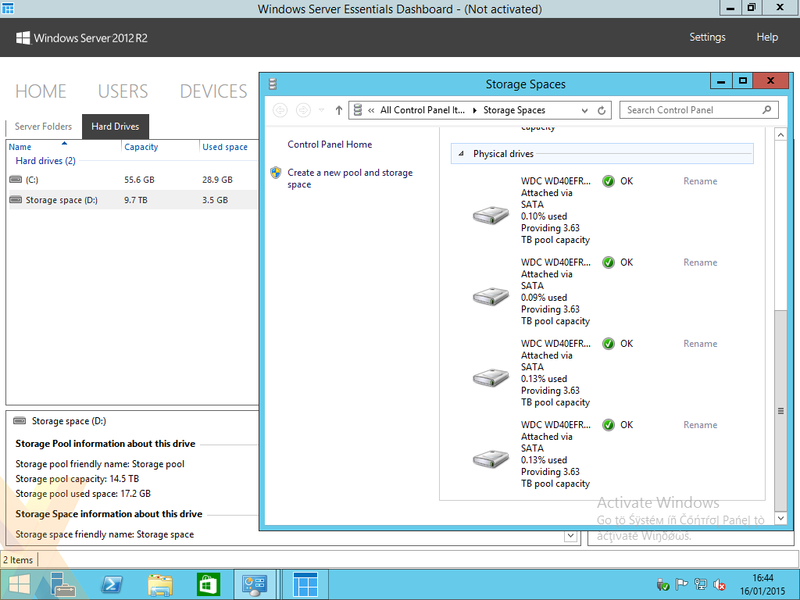 Why Windows Storage Server 2012 R2 Essentials? NAS solutions have grown in popularity in recent years as businesses and home users seek an affordable means of centralising data between multiple devices. 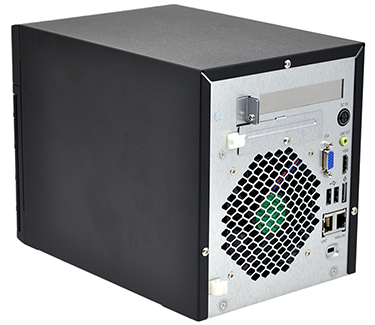 Compared to a traditional file server, a NAS is typically more efficient, smaller in size, simpler to deploy and cheaper to purchase. It's easy to see why hundreds, if not thousands, of different models have become available; however the majority are powered by Linux-based operating systems and, until now, Windows NAS solutions have carried a significant price premium that has limited their appeal in the mainstream end of the market. That's something Windows Storage Server 2012 R2 Essentials is designed to address. Intending to bring an enterprise-class feature set to businesses on a budget, NAS appliances running the new OS are expected to be powered by a low-cost Intel Atom processor, 2-4GB of RAM, Gigabit Ethernet, USB 3.0 connectivity and up to eight storage bays. Such boxes will tout simplified management and cloud-based services in a package claiming to be "just as affordable as their Linux counterparts." 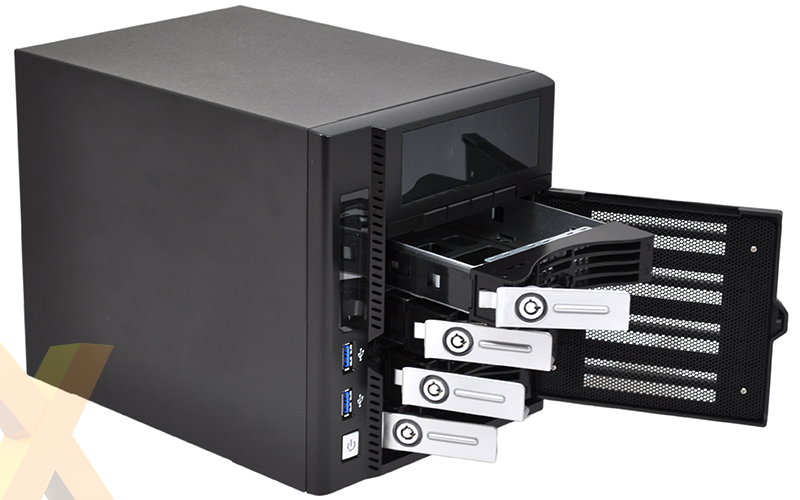 Each Thecus Windows Storage Server is designed to fit seamlessly into an office environment. 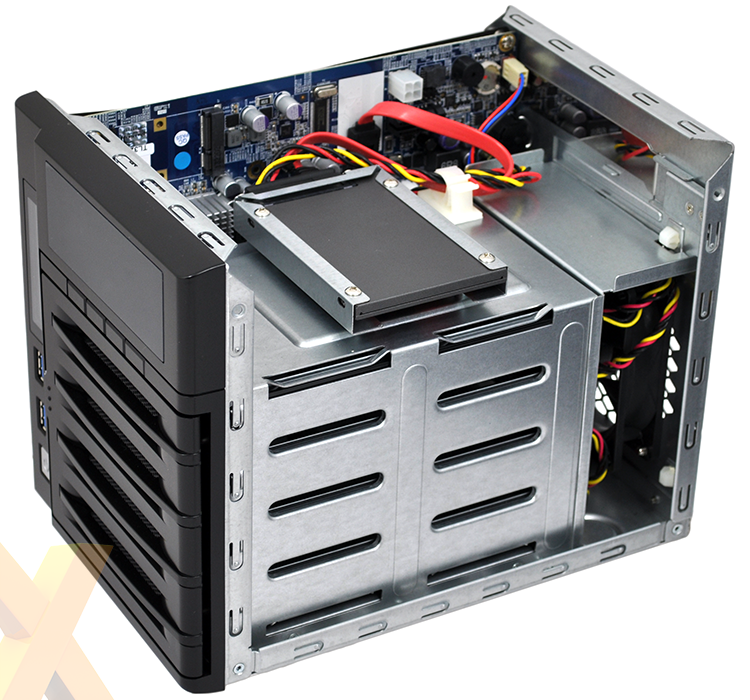 All three initial models are powered by a dual-core Intel Atom processor alongside 2GB of DDR3 memory and feature lockable drive trays. The below table highlights the differences between the diskless W2000, W4000 and W5000 units. For users familiar with Thecus' traditional NAS solutions, there are also a couple of Windows nuances to be aware of. Perhaps the most important is that Windows Storage Server 2012 R2 Essentials isn't lightweight enough to reside on a small flash module. Instead, the operating system is located on a embedded boot drive - SSD or SSHD depending on model - that's pre-installed within the chassis. There's no out-the-box protection against a system-disk failure, so we feel it's good practise to create a server backup to an external drive. The second distinction is that Windows Storage Server's initial setup cannot be carried out remotely via a web browser. The administrator needs to attach a VGA/HDMI monitor along with a keyboard and mouse in order to complete the first configuration. A key reason for businesses to consider a Thecus Windows Storage Server is tight integration with various Microsoft services. In keeping with the Standard and Workgroup editions, Windows Storage Server R2 Essentials is based on the Windows Server 2012 R2 platform and offers a wealth of functionality. The following table compares the three editions and highlights the fact that Windows Storage Server 2012 R2 Essentials is home to certain features that aren't included in the Workgroup and Standard editions. 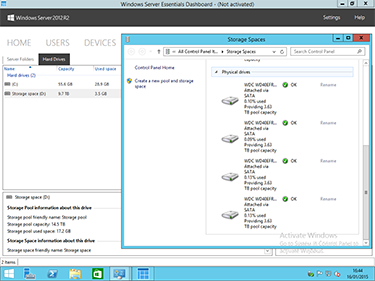 As you'd expect from a Windows NAS, there's built-in support for setting up or joining an Active Directory domain, centralised client backup with File History integration for Windows 8.1, plus advanced features such as intelligent Data Deduplication compression, BitLocker drive encryption and Storage Spaces for creating virtual storage pools. 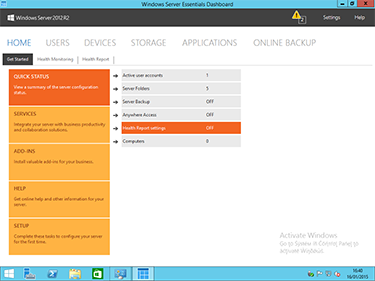 Full server backups allow for the restoration of complete PCs, and with the Windows Server Essentials Experience, nontechnical users are able to deploy and administer the NAS via a simplified GUI. The administration interface will look and feel familiar to just about any Windows PC user, in theory implying less of a learning curve, and the Storage Server 2012 R2 Essentials license allows for up to 50 connected users/devices, making it ideal for a small-business environment. The W4000 has plenty on offer as an out-the-box solution, and via the easy-to-use dashboard, there's also the option to integrate business-specific cloud services such as Azure Backup and Office 365, both of which are hosted by Microsoft data centres promising "guaranteed levels of availability". Expanding on the available feature set, Azure services can be called upon for encrypted off-site backups that protect against damage or theft, and the subscription-based Office 365 service provides a full Office suite, including email and calendar, accessible from multiple devices for improved collaboration. Simplifying management, the cloud services are also enabled and configured via the Essentials Experience interface. 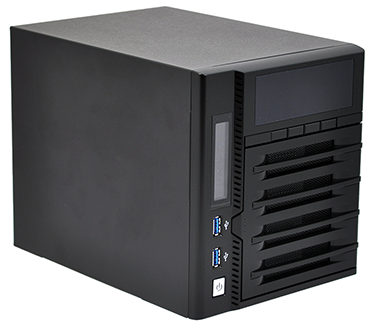 Thecus is the first manufacturer to launch a range of NAS solutions running Windows Storage Server 2012 R2 Essentials. While we expect a number of other manufacturers to join Microsoft's roster in the months ahead, the keenly-priced Thecus units support up to 50 users/devices and provide a good look at what a low-cost Windows NAS has to offer. For full disclosure, this editorial was sponsored by Thecus. Further information on Thecus Windows Storage Servers is available at wss.thecus.com. Interesting idea…….maybe it will take off, maybe not. It's not bad idea if you really want storage and a domain for a super-cheap price, the problem is backups. Why have a domain when the whole thing can (and will at some point if the system is stored on a single SSD!) disappear? Seems even odder when you consider that the NAS itself will probably be your backup solution……Eggs/Basket?